How To Start An In-Home ABA Program - I Love ABA! Behavioral Intervention for Young Children with Autism: A manual for parents and professionals by Catherine Maurice, Gina Green, and Stephen Luce. This is a very important topic thats close to my heart. I love working with families who are new to ABA therapy or Autism. I got my start in this field working with families in rural or international areas who knew very little about behavior therapy, or the diagnosis of Autism. It was challenging and at times frustrating, but I learned alot. Today with advances in technology, research, and with Autism seeming to be the current "It" word in the media, its much easier for parents of newly diagnosed children to know what to do. Even if you never knew anyone with Autism before your child was diagnosed, its likely that you have read a book or article, or seen someone on TV discussing Autism. Yet despite all of that parents have so many questions about treatment options. Just type the words "treatments for Autism" into a search engine and watch how much information you get back. This mass amount of information can be hugely intimidating and scary for parents who are new to Autism. This post is targeted to families who want to start an in-home ABA program for their child with Autism. In order to be brief I will focus in on critical areas: After the Diagnosis, Why ABA, In-Home ABA, and Maintaining Balance. After the Diagnosis- Once parents are hit with the diagnosis of Autism, it is completely normal to go through a series of tumultuous emotions and a time period of confusion and denial. Even if you may have suspected something or had suspicions, there is nothing like the actual moment when someone confirms to you "Yes, your child has Autism". While reeling from this emotional blow, parents also have to evaluate and determine plans of action, tell family members, plan for the future, etc. For most families the weeks after the diagnosis are a blur. There are just so many decisions to make and no one can make these decisions for you. The doctor/psychologist/clinician who gave you the diagnosis cannot give you a "Recipe For Success" for Autism. There is no standard treatment plan. Many new parents ask me for one, but it doesn't exist. What you want to focus on is a therapeutic method that addresses your child's unique deficits and weaknesses. When working with special needs children the goal is to get them at their highest level of functioning. For some children that may mean they will always require significant care. For other children that may mean they will eventually be in regular education classes, and have hobbies and friends. The point is no one can tell you for certain. Why ABA?- Once you have decided on pursuing treatment for your child now you have the decision of what therapeutic method to select. Just to name a few there are: Occupational Therapy, Speech Therapy, Incidental Teaching, Early Intervention Services, Bio-medical interventions, Floortime, Physical Therapy, etc. The list of treatments for Autism is ever growing, and ever changing. Certain treatment methods are dropped and labeled as "fads", and other methods change and morph into something else. What is most important when deciding on a treatment method is to look at your child's needs. What skills do they need in order to have a better quality of life? Determine your child's needs and then select a therapeutic method that will meet those needs. It is important to select a therapeutic method that has empirical data to support it, and has been proven to work with specifically with Autism. Its nice if a therapy works great for children with speech disorder, but how do you know it will work for your child who has Autism?. The treatment method should also have a method of showing progress and gains, which many treatment options out there are lacking. Without data how do you know the treatment is working? If you are spending hundreds of dollars on a treatment, don't you want evidence that it is working? It is important if you are spending time and money on a treatment method that you are confident in its track record. In-Home ABA- If you have decided on ABA as a treatment, you have a few choices available. Your child's school can deliver ABA treatment to your child during the school day, you can contact an agency who will send therapists to your home, or you can run the in-home program yourself. Obviously, the last option is the most labor intensive on you, the parent. However not every school offers quality ABA services, and not every family lives near an agency. Often times even if you do, the agency has a year long waiting list. Waiting lists in this field are very, very common because the demand is so high. If you are considering running your child's in-home therapy program, then great for you! I love to encourage parents to take charge and not to wait around for a spot on a waiting list to come available. That may take months or even years, and that's valuable time that you could spend teaching your child. To get started you will need to assess your child's abilities, hire therapists, hire a Consultant/ BCBA, and gather supplies and materials. As far as resources and supplies, you need to know what programs you will be teaching in order to know what materials you need. 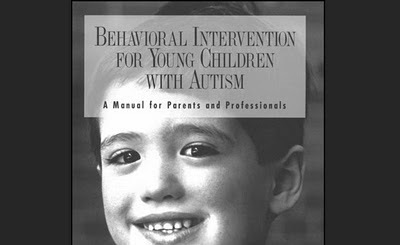 A great resource on writing ABA programs is: "Behavioral Interventions for Young Children with Autism" by Catherine Maurice. This book is amazing, and I haven't come across a more parent friendly resource. I am also a fan of: "The Verbal Behavior Approach" by Mary Barbera, that focuses on Verbal Behavior. 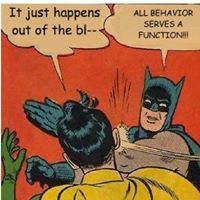 Basically, Verbal Behavior is a form of ABA that focuses on communication and language being taught/increased behaviorally. 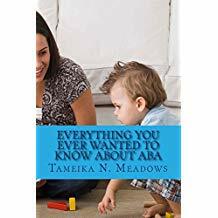 I recommend both books, but if you are a parent just getting started with ABA then you should start by reading the first book (I promise, its an easy read). The Catherine Maurice book is more of a comprehensive manual that explains in great detail how to start, manage, fund, and oversee an in home ABA program. Maintaining Balance- Once you have your in-home program off the ground, you may find that your household has become an ever changing flow of therapists, schedule changes, meetings, and chaos. It can be a strange experience to get used to having therapists in your home several hours a day. If you have other children they may resent the fact that no therapists come to play with them. Juggling therapies, hiring therapists, attending team meetings...it may all get to be just too much. Its important to remember to keep a balance and to stay organized. Running an ABA program is somewhat like owning a business. You need to stay on top of staff, keep up with progress, handle hiring and firing, make suggestions for performance improvement, etc. If you are organized it makes everything so much easier. Create a system that works for you and stick to it. As the in- home program is implemented and time begins to pass, consider hiring a BCBA. If you cannot afford to hire one to completely run the program, then you can ask the BCBA for their consultation rates. You can also ask if they have a sliding fee scale, or provide a discount if you sign up with other families in your area. I find that most families seek outside help when things start to go wrong or progress stalls. Or as I like to say, for "troubleshooting". I strongly recommend if you are having issues with your in- home program, to consult with a BCBA before you make any decisions. If you don't understand why you need a BCBA, I strongly recommend this amazing blog post, from Thinkingautismguide.com. Below is a list of resources for starting or running an in-home ABA program. I hope they are helpful. These websites are a great resource for parent-therapists who do not have access to, or cannot afford to hire ABA professionals. I'd love to hire my own aba therapists for our daughter. Where would I even begin to search to find one? Ideally, I'd like someone with a bachelors degree. I have a post that may be helpful, its called "Hiring ABA Therapists: The Interview", and it talks about how parents can locate and hire ABA staff. It can be difficult to locate ABA therapists to hire privately (outside of a company). I would suggest using the job board on Craigslist to locate staff, or joining parent support groups to get recommendations from other parents. 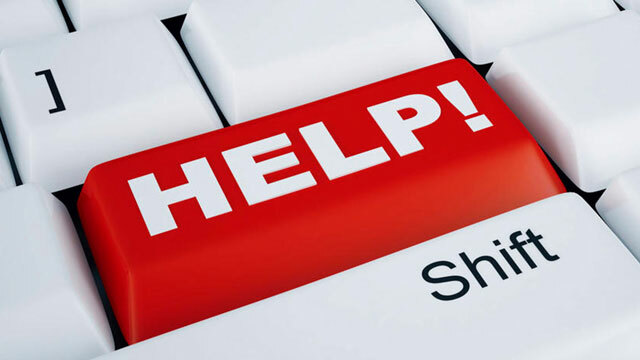 You could also search on college campuses for students who may need internship or volunteer hours, as many in-home ABA programs are staffed with college students. I think parents are the best resource for other parents, so I would recommend talking to other parents who are currently, or have previously used ABA services, and asking them how they located staff.